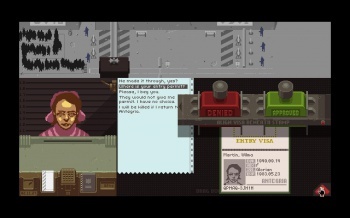 The 2014 Independent Games Festival has several well-known games among its list of main competition finalists. The 2014 Independent Games Festival juries announced yesterday the main competition finalists, narrowing down over 650 entries to just over 30 - several of which are well-known indies like Galactic CafÃ©'s The Stanley Parable and Lucas Pope's Papers, Please, which made it to the finals in The Escapist's Reader's Choice Game of the Year. The IGF awards will be announced March 19 at the San Francisco Moscone Convention Center. Winners will receive nearly $60,000 of prizes across categories, and the Seumus McNally grand prize is $30,000.